Are you lazy when it comes to fourth of july outfits? Do you always stick to wearing a navy and white striped shirt with red shorts, or maybe you're super lazy creative and wear a red shirt with jean shorts. Well have no fear, I'm here to save you and you can still wear your super easy outfit! 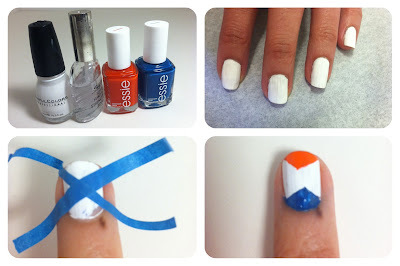 All you need is red, white and blue nail polish! 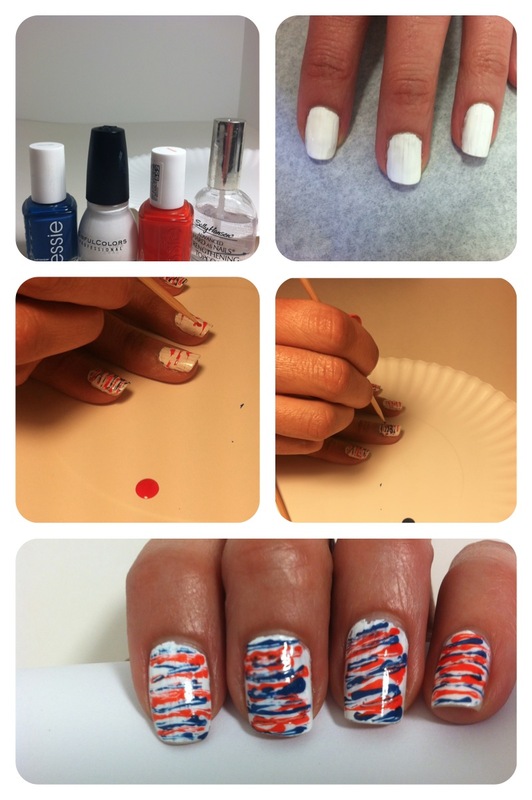 Here are two super-easy ways to steal the manicure runway at your 4th of July party! 4. peel and seal with a clear coat. Show off! 3.pour 1 drop of polish on a paper plate. 4. use toothpicks or skewers to draw lines across your nail with your first color (red). 5. repeat steps 3 and 4 with the 2nd stripe color (blue). Seal with a clear coat and Voilà. Stripey Nails! These two manicure are super-easy, and when anyone sees them they are sure to comment on how cute they are!